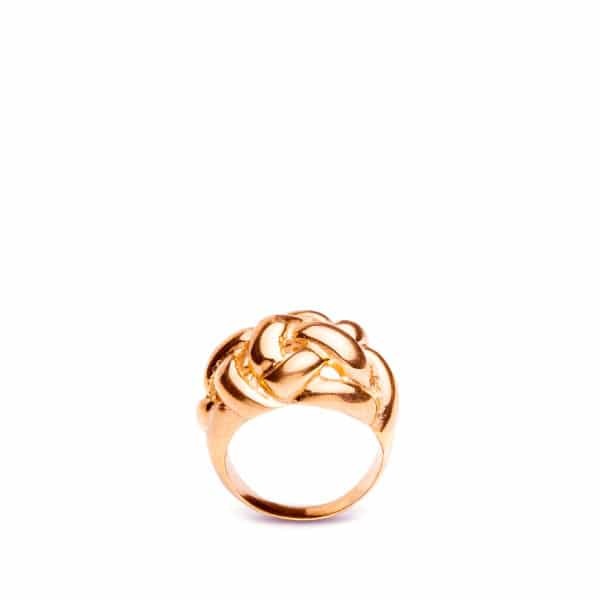 This rose gold plated bronze ring is one of a kind. It is the result of a collaboration between designer Alix B. d’Anthenay and a parisian modelist. It is produced by hand, one by one, in a parisian workshop by skilled artisans. Alix B. d’Anthenay has chosen, by cutting out the middlemen, to put focus on quality. 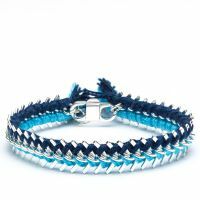 This bracelet is gold plated by one of Paris’s renowned company who has been in business since 1850. They are one of the very few to not use copper in their process. This ring is 100% “Made in France”. All the artisans who have worked on it (modelist, smelter, polisher, plater, gilder) work in Paris. This ring is casted in bronze, then gold plated. Plating, in accordance with the legislation, is a layer of gold applied, of a thickness equal or superior to 3 microns. This ring is embossed with a specific hallmark stamp, guaranteeing its plating and origin. The gold plating is very durable. You can put it in contact with water but it will of course keep its plating longer if taken off before showers, pools, jacuzzi etc… Don’t hesitate to polish it with a soft cloth from time to time to bring back its original sheen.